Dubai, United Arab Emirates, July 2018: Get ready for a summer full of surprises! Throughout Dubai Summer Surprises (DSS) 2018, Al Seef is ramping up the excitement with unmissable shopping and dining offers, and entertainment for the whole family. From a raft of fun activities for visitors of all ages to incredible discounts of up to 60 per cent at retail and F&B outlets, the Creekside destination offers something for everyone this shopping season. 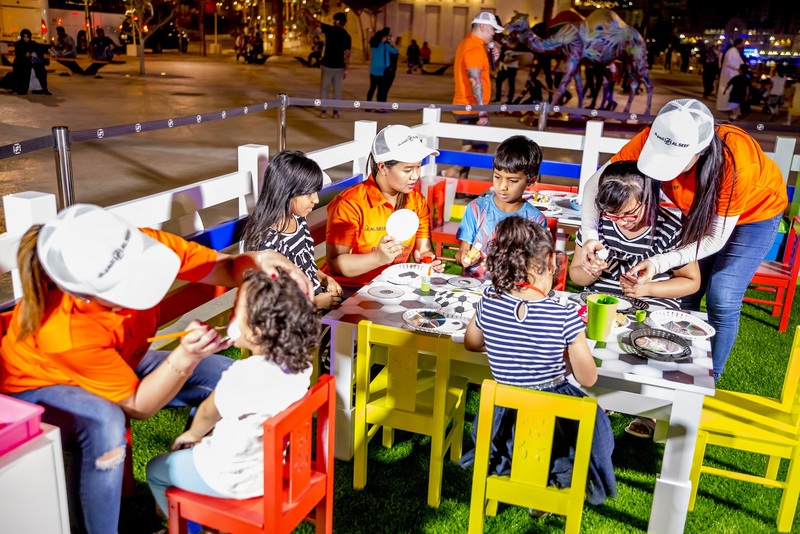 With the football madness in full swing, Al Seef has prepared a packed evening schedule of football-themed entertainment, including fun photo sessions with football props and cut-outs, balloon artists, bubble shows, zorb performers, and kids’ dance performances. As everyone’s favourite board games get a whole lot more fun when they’re super-sized, the destination invites visitors to join in three uber-cool life-sized board games – Giant Scrabble, Giant Dominoes, and Giant 4 in a Row. During the DSS season, Al Seef is also the latest cool spot for movie buffs to enjoy an amazing outdoor cinematic experience. And if that’s not enough, every Friday during DSS, the destination is hosting a party for children with games and a DJ. After a long day of trawling Al Seef’s retail outlets for the latest bargains, hungry shoppers can choose from a wide variety of cuisines. Apart from the stalwarts of Dubai’s culinary scene, including Times of Arabia and La Marquise, the destination features a selection of new eateries, such as period Egyptian restaurant KHOFO, popular American burger joint Five Guys, and Indian fusion bistro Mitra.